Cocktail napkins and bar organisers are a bartender's saviour. Paper cocktail napkins help with the presentation of drinks and to stop water marks on bars. While bar organisers help to maintain a well organised and uncluttered bar space and are designed for efficient storage of the large range of cocktail napkins we stock at Pattersons Bar Supplies. Choose from a variety of different coloured bar and drink paper napkins, including the bestselling black cocktail napkin and add a splash of colour and sophistication to your drink presentation. 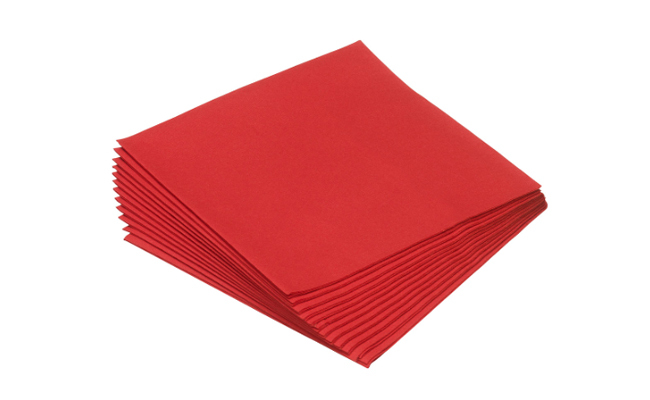 Buy your cocktail napkins in bulk and save money! Buy your cocktail napkins, along with cocktail stirrers and drinking straws from an extensive range of bar disposables at Patterson Bar Supplies. Our range of bar disposables are part of a large collection of bar supplies, bar equipment hand picked for professional use in bars and pubs. If you have any questions about our range of wholesale bar supplies and pub products email our team of bar equipment specialists on hello@pattersons.co.uk. FREE UK delivery is available on qualifying orders of bulk buy bar disposables and wholesale bar supplies.